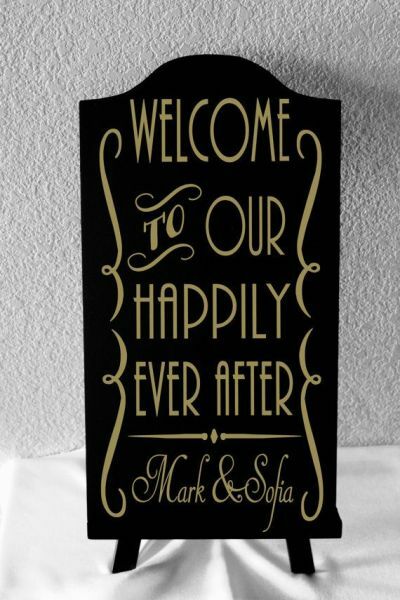 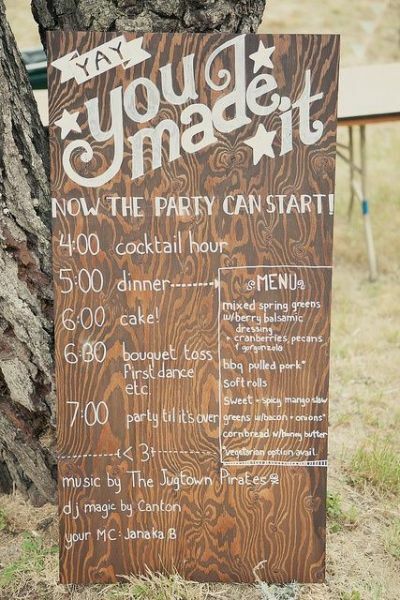 Wedding signs are such a creative and fun way to inform your guests of just about anything you can think of! 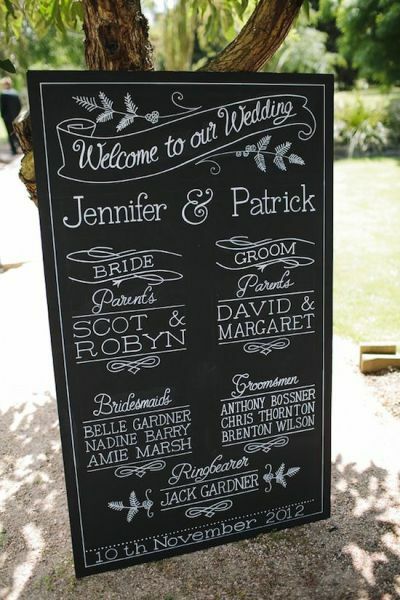 There are many different styles and materials used, for example: fun chalkboard, elegant windows or rustic wood. 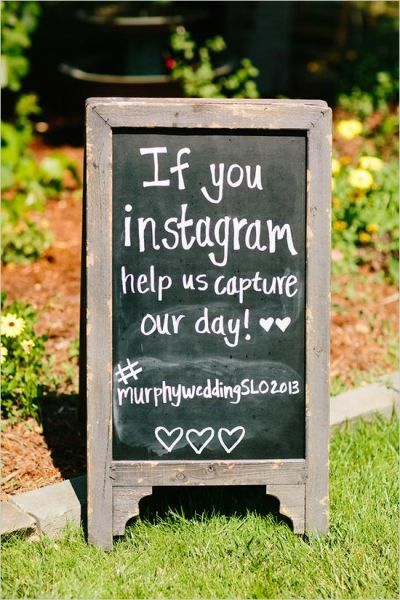 There’s no limit, plus you can easily purchase personalized wedding signs or DIY if you’re feeling artsy and ambitious. 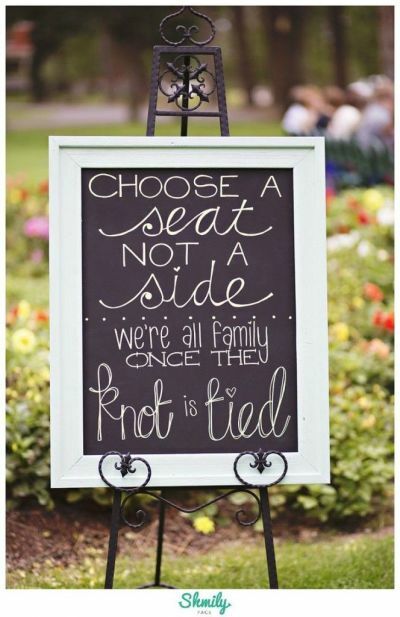 Your wedding signs can serve as important instructions like where to sit or they can be just for fun like sharing your love story. 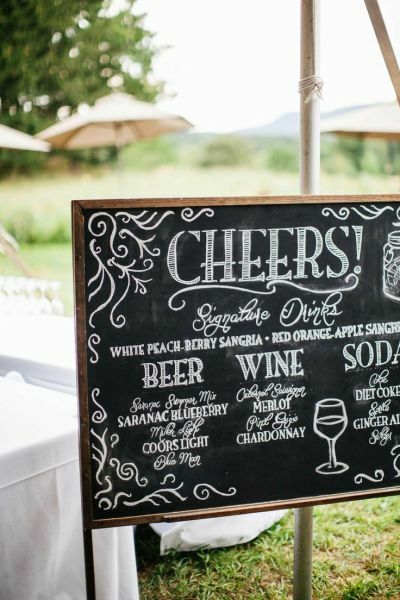 Whether you DIY your signs or purchase them, your guests will adore this personal touch! 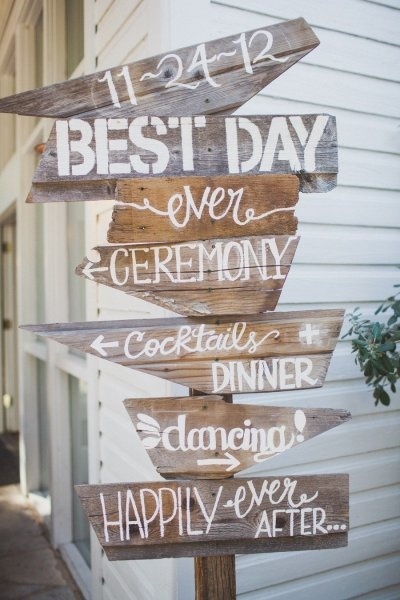 We gathered 10 of our favorite wedding sign ideas that you can easily add to your own wedding ceremony or reception. 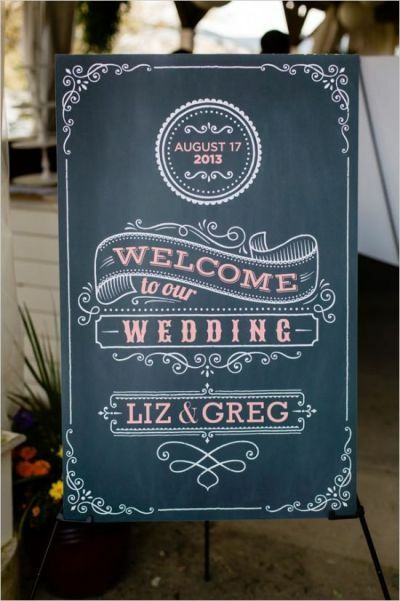 If you can’t be there to greet guests as they arrive at your reception, what better way then to welcome them in writing with style. 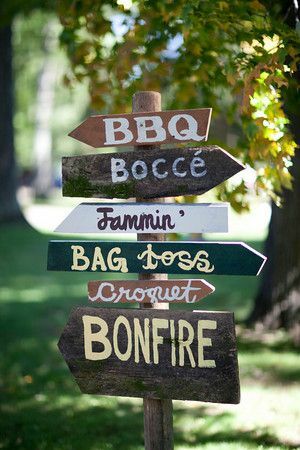 Will your guests be moving to different locations for the day’s events? 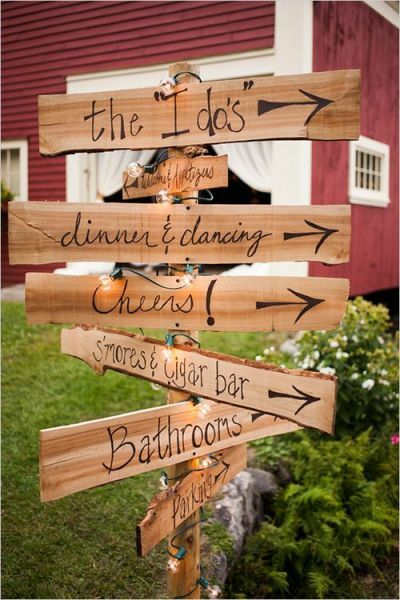 A sign will make clear where they need to go. 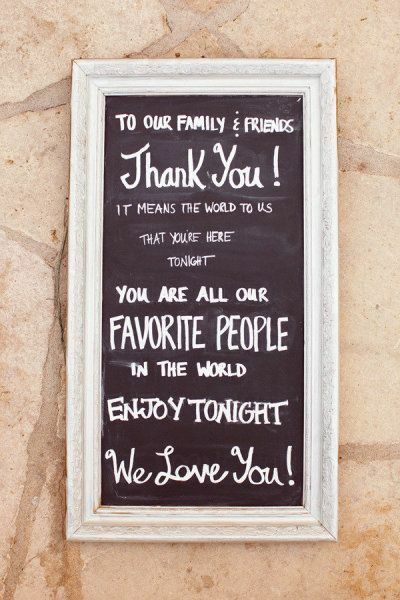 Whether you are assigning seating for your guests or not, it’s nice to let them know what is expected of them. 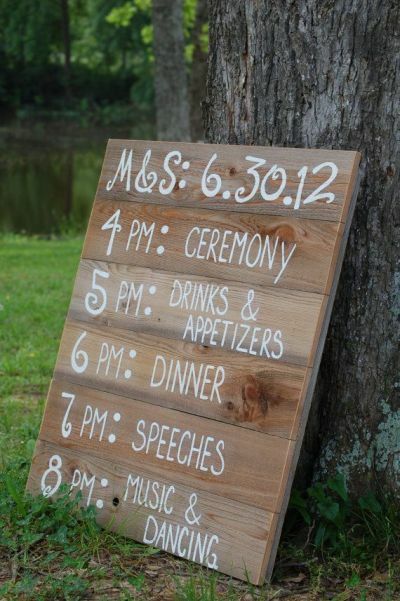 An outline of the days events is a great way to let guests know what to expect and for how long. 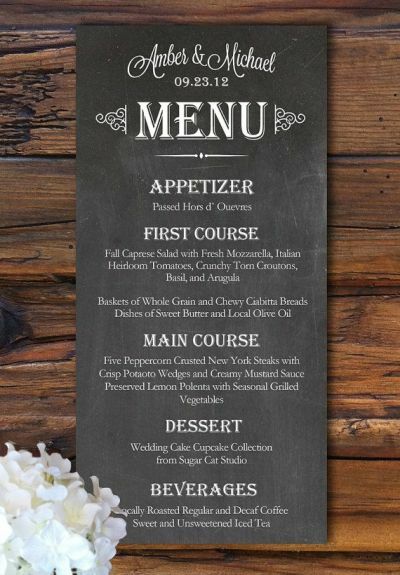 Guests will love knowing exactly what is available to eat and drink, especially if you have some signature drinks! 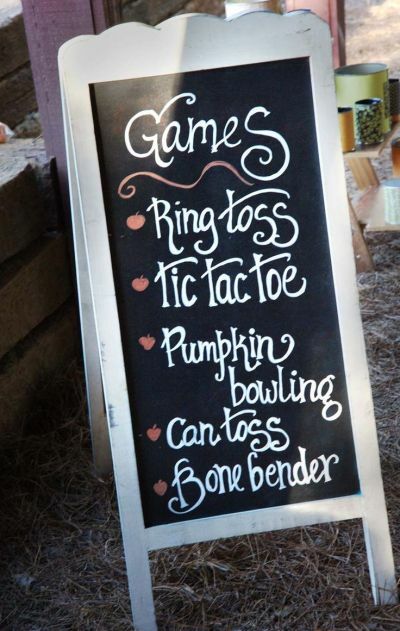 If you’ve planned to have some games at your wedding or a kids area with activities to do, your guests will love to know what is available and where. 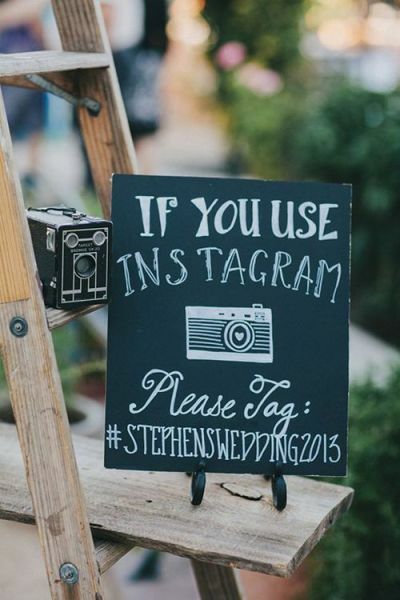 If you’ve set up a hashtag or app for your guests to share their photos, let them know about it and how to do it! 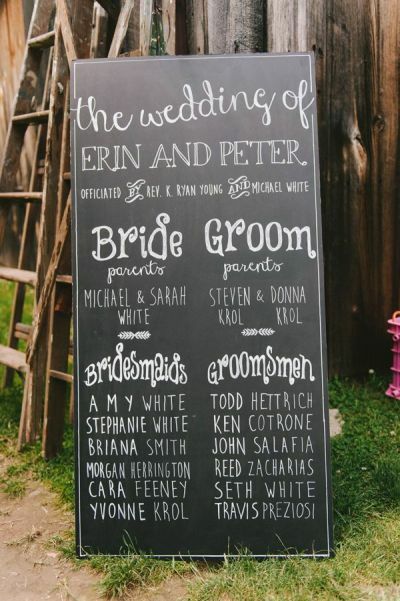 Not all of your guests will know exactly who is in your wedding party. 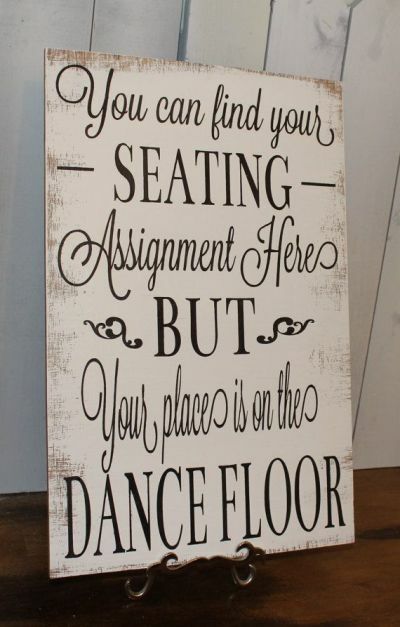 It’s fun for them to find out! 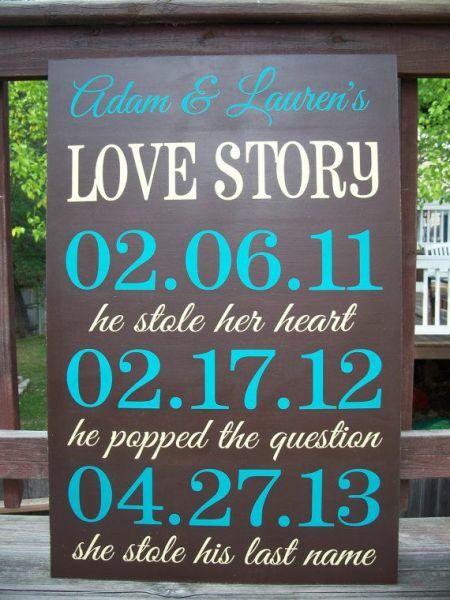 Your love story is another thing not all of your guests will know about. 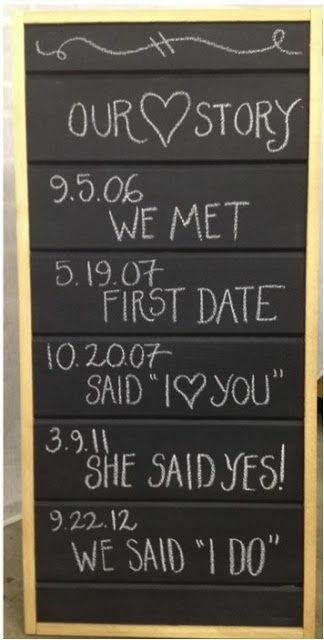 Share your special dates as a fun timeline! 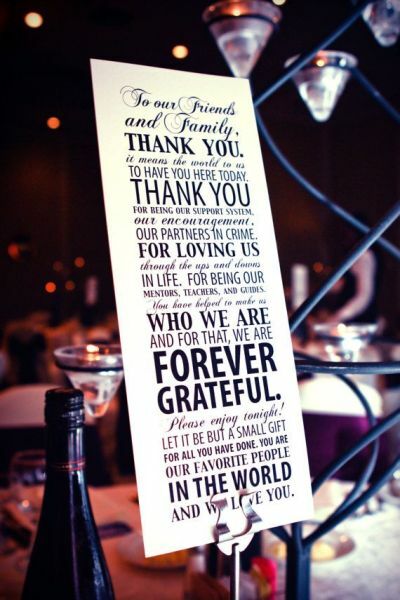 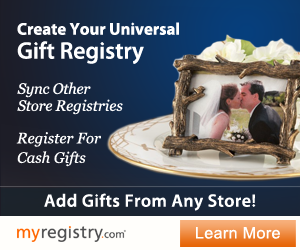 A cute way to say “Thank you” and how much it means to you that your guests came to celebrate your special day.